It's a legendary album in what I would argue is Jay Dilla's prime. That doesn't mean that other periods of his career were creatively ahead of their time, but I really think this was Dilla's best album from front to back. 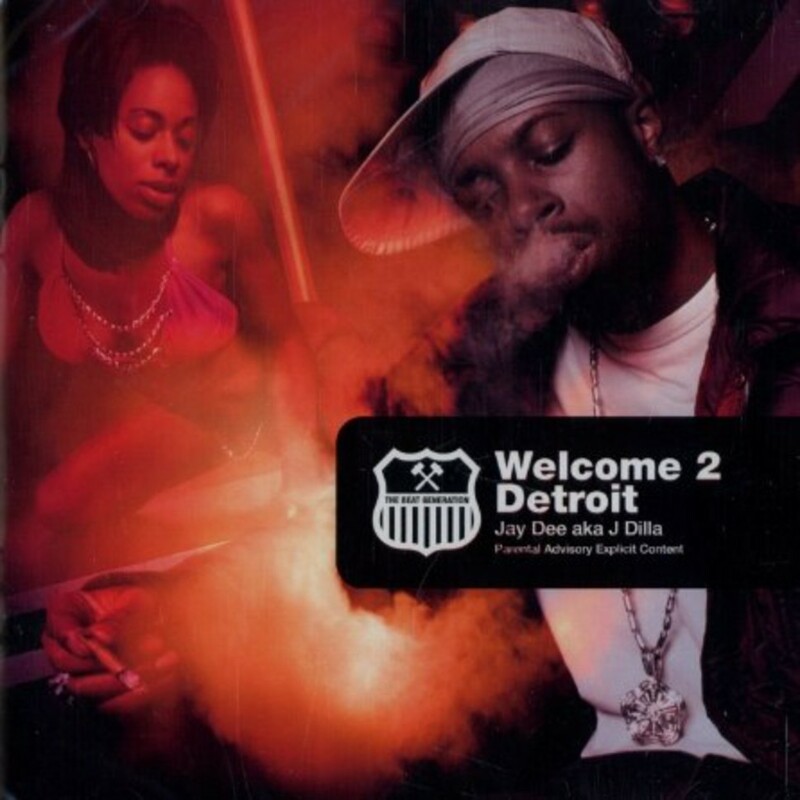 Welcome 2 Detroit mixes in a great combination of instrumental tracks and raw hip hop tracks with great Detroit mc's. Dilla shows his lyrical abilities as well. This dropped before Trinity (Past, Present and Future) and I remember combing through Cheapo's racks of used cd's and getting this cd for about $7. Can you imagine that?!!! Looking back at that time, I should have seen Elzhi's lyrical rise in hip hop and also I believe it's the first time I heard anything from Dwele. Dilla defied conventions and I don't remember ever hearing Brazilian or African drums used in hip hop before this album. Since then, I've heard Fresh Daily sample the African Rhythms track and Oddisee sampled Brazilian music as well. Another track that comes to mind when I think about African drums is No, No, No (Heltah Skeltah & Starang Wondah) from Tony Touch's first compilation album, The Peace Maker. Not to mention, Will-I-Am ended up making a whole collaboration album with Sergio Mendes with a slew of well respected hip hop and neo soul artists. It's always a good time to pay homage to amazing artists and dope music. If you don't have this, you NEED this music!.......just ask Nottz (Raw). I think who a person respects says a lot about them and the first track embedded into this album says a lot about Dilla. He respects music and in the end saying that hip hop respects Dilla is an understatement.